Note that this isn’t the first time Frieza has returned to Dragon Ball, but this does look like it could be his most dramatic return. The following image appeared on Anime News Network and then online in Japan. It also popped up on Chinese social networking site Weibo as well as on Kanzenshuu. 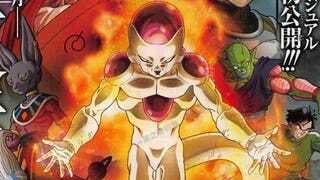 Dragon Ball Z: The Resurrection of F opens in Japan on April 18, 2015.